End of season – all colour has gone, and soon the seeds will drop, leaving us with something like here or (more artsy-fartsy) here. 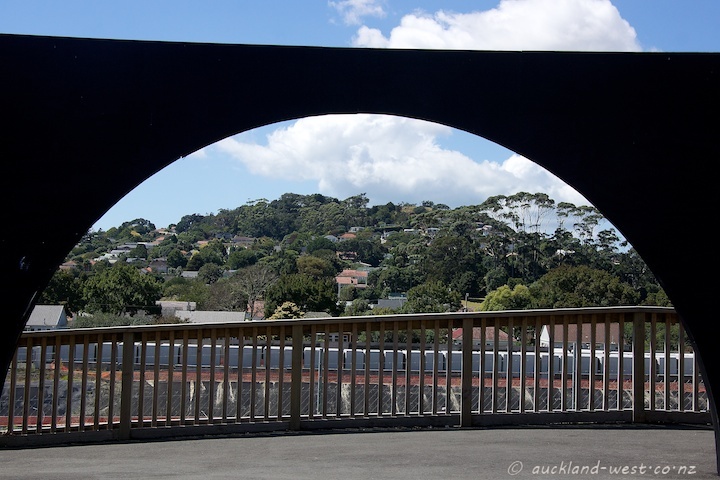 On the walk between Westhaven and Beaumont Street. Seen in Canada Street, Newton. 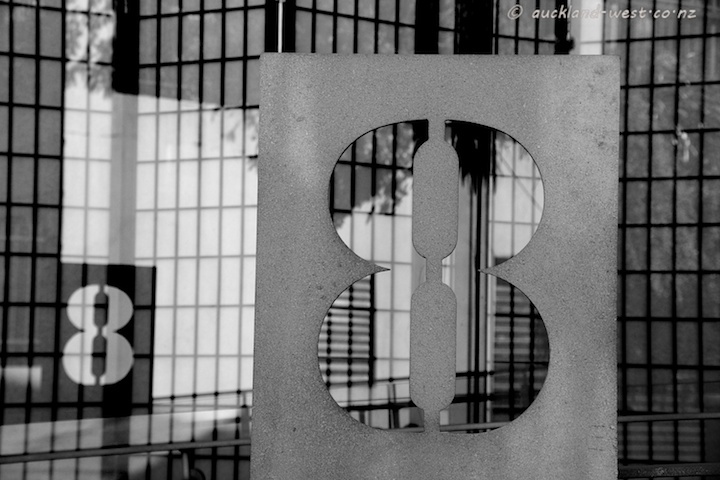 Home of Zambesi. The volcanic Mount Albert seen through the noise barrier at Methven Road (in the trench immediately behind is the construction site of State Highway 20). Mount Albert (135m high) is a scoria cone, one of many such cones on the Auckland Volcanic Field. Age unknown. 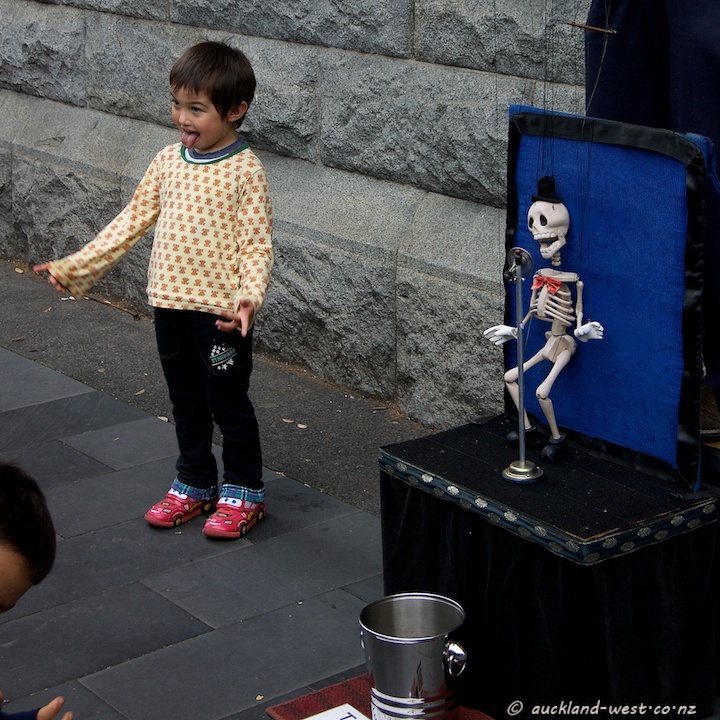 Performance at last Sunday’s “Open Streets” event in Quay Street. 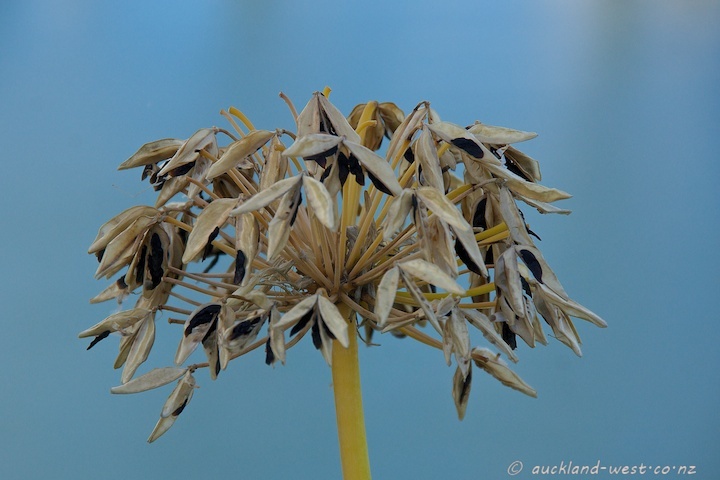 Agapanthus are beautiful at all stages (as you would expect of a flower that is classed as a weed). 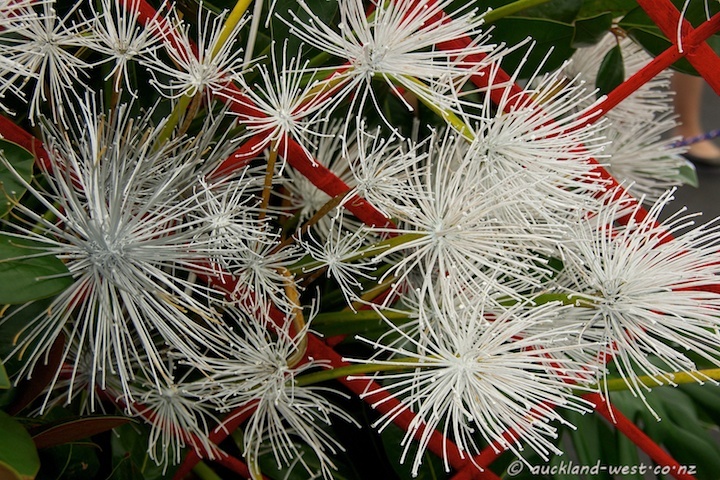 Here the finished flower heads are painted white, forming part of an arrangement at last Sunday’s Japan Day at the Cloud. 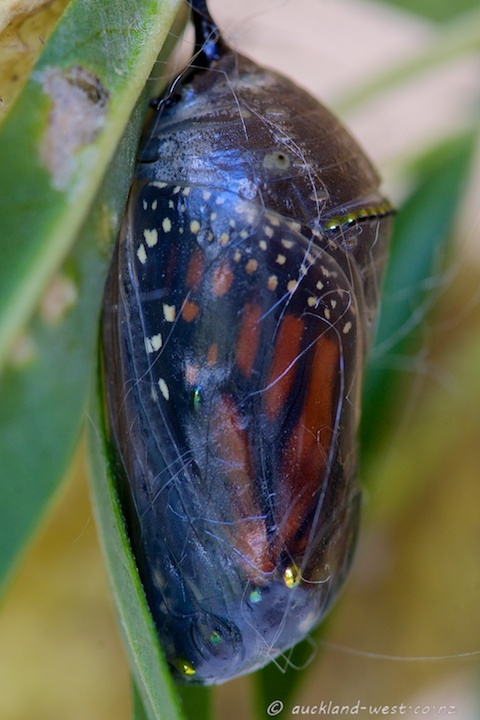 Yesterday was by far the coldest day for months – and it so happened that the chrysalis that I had brought home on a twig of milkweed (swan plant) was ready to turn into a butterfly. 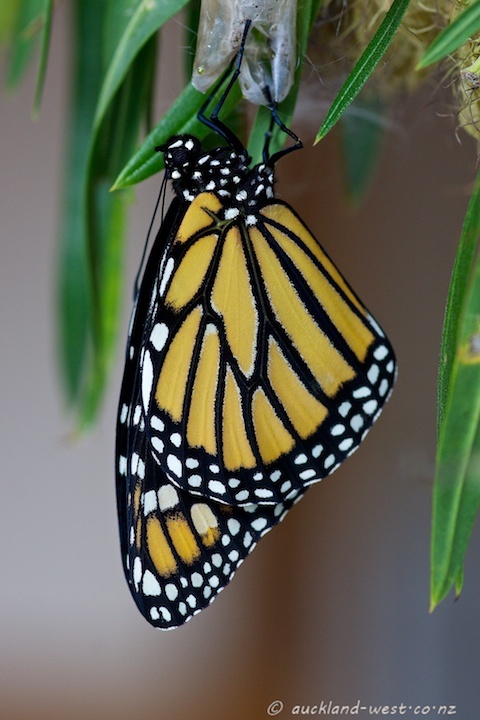 Sadly, just at the crucial moment, I was not around, but still, it was fun reliving an episode of the past when we produced monarchs big time. 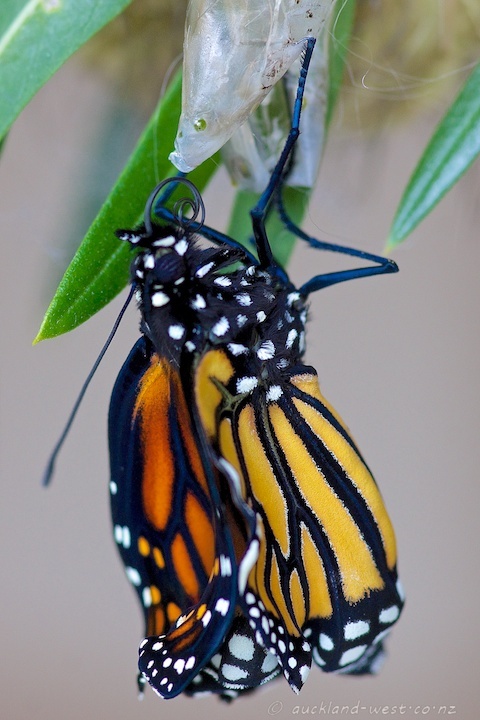 A sequence of shots of an emerging monarch butterfly can be found here. 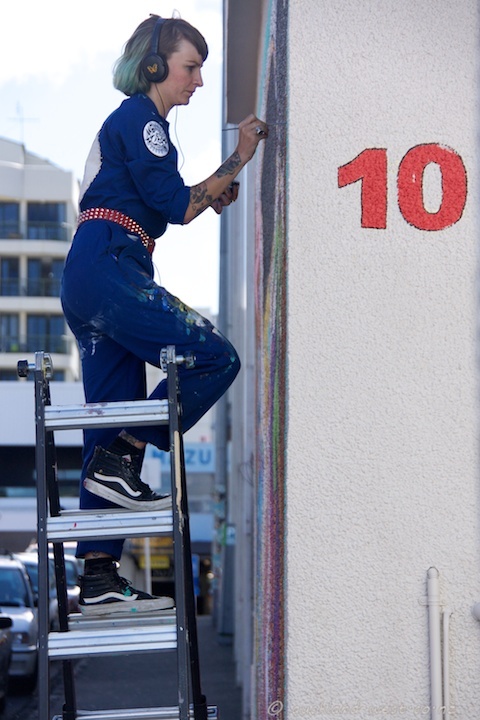 The KRoad Business Association celebrated a weekend (9/10/11/12 April) “All Fresco” of mural painting, adding to the already remarkable stock of public art of their precinct. When I toured at about lunchtime Saturday, there were works in various stages of completion, with this one by Xoe Hall probably the most finished. The characters and glitter a splendid fit for its environment! The mural is finished, you can see the final result on Xoe’s Facebook page (“Zig-Zag Boutique”). Artist lineup: Askew One, Berst, Cinzah, Component, Erin Forsyth, Gasp, Haunt One, Jeremy Shirley, Jon Drypnz, Owen Dippie, Tanja Jade, Trustme, Xoe Hall. For more murals, visit Oakland Daily Photo. 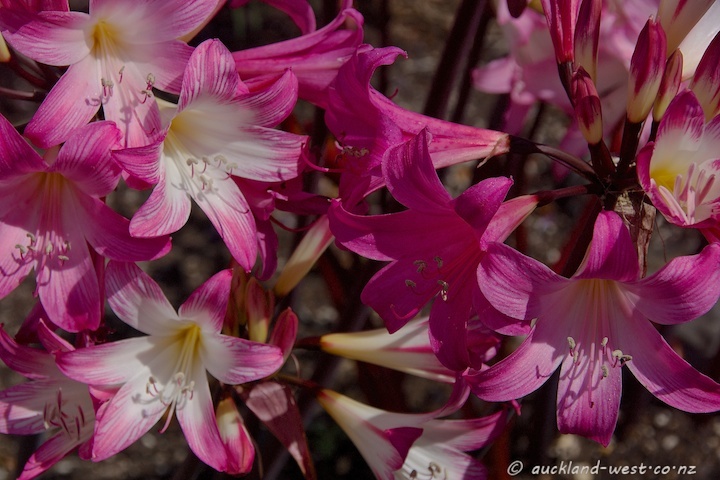 There are still a few fine stands of amaryllis belladonna (aka naked ladies) around, but not much longer, and most are past their best. A sure sign that we are well into autumn. And the weather forecaster recommended to dust off the coats. Brr. A bit worse for wear, admittedly, but unmistakable. 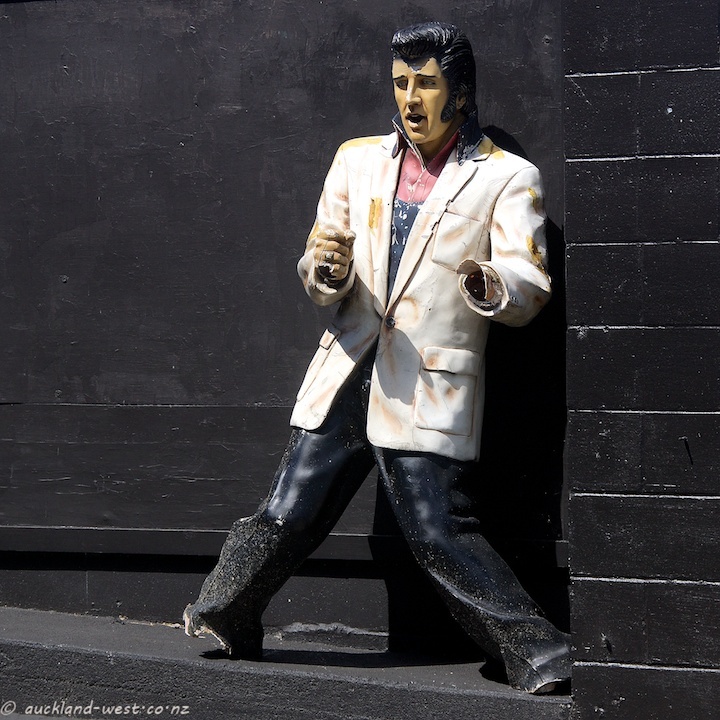 Here he stands with the back against the wall — but on occasions he ventures out on the footpath. 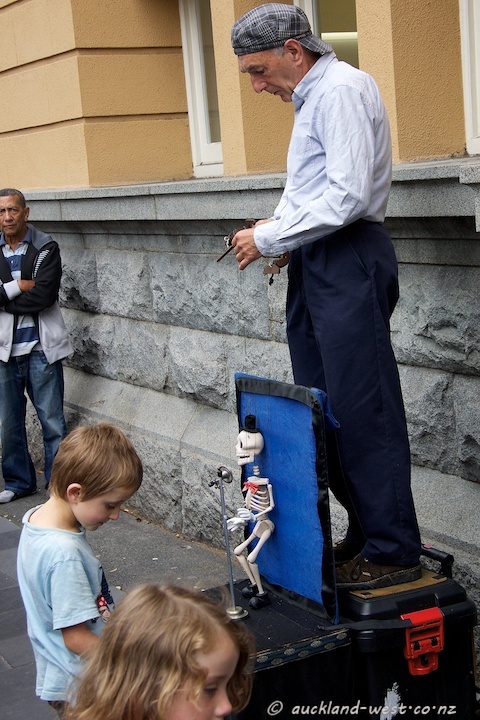 Dominion Road at its best. 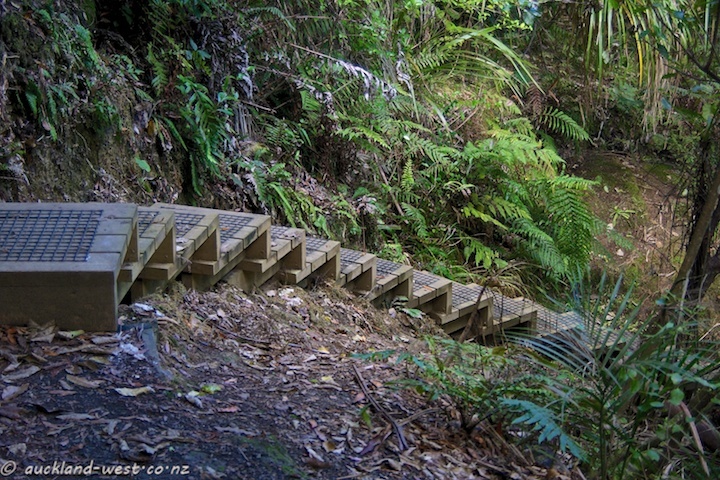 ZigZag Track leads from Park Road to (almost) the bottom end of Titirangi Beach Road. A deeply cut gully, wonderful bush, some tall trees, and plenty of ferns. 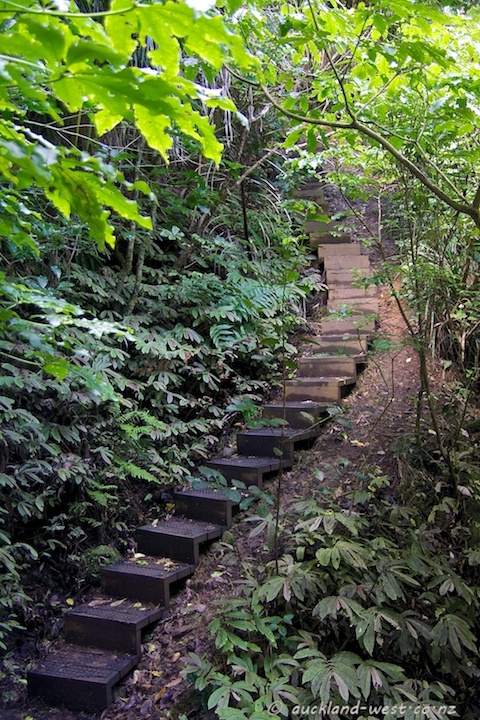 Near the top, the steep slope is made passable by these wooden steps. The ground cover in the lower image is parataniwha (Elatostema rugosum).